The game of tennis has transformed over the last few decades. That’s largely due to a golden age for the sport witnessing some of its greatest ever players emerge on the world stage. But credit must be extended to those influential tennis coaches who have managed and moulded today’s champion players. 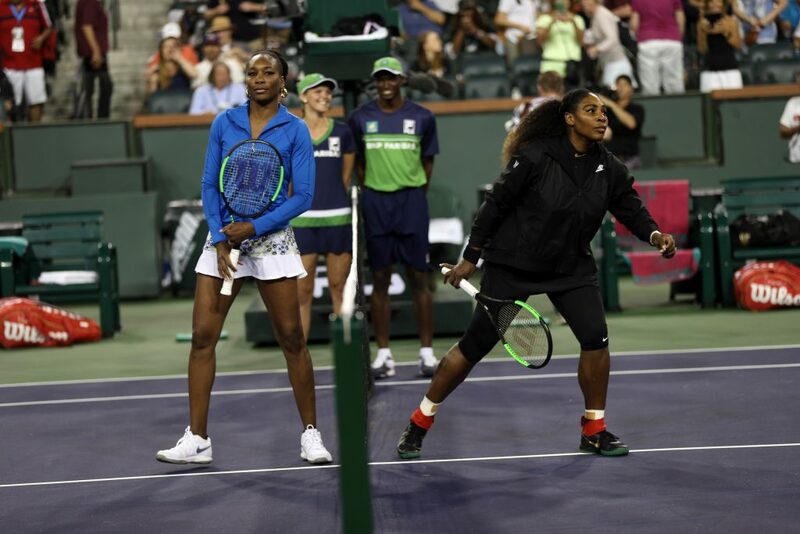 Would the Williams sisters – multiple Grand Slam champions in singles and doubles – have achieved so much without their father and coach Richard Williams? While a player’s power – the speed of a serve, the brute force of a forehand – was always an important factor in Grand Slam champions, the world’s biggest stars have combined strength with tactical guile and agility. It has impacted both the women’s and men’s games, an increased physicality and speed of play exampled by the muscular frames of today’s top performers. This has led to tennis being played like never before. The treat for fans is that today’s stars – from Roger Federer and Rafael Nadal to the Williams sisters – are performing at a level we’ve not witnessed previously. Yet, while the players are getting the television time, lavish sponsorship deals and celebrity status, the work in the background from influential tennis coaches must not be underestimated. Indeed, it could be argued the game’s transformation – and ongoing popularity – may not have occurred without the work of those support teams nurturing the talent of the sport’s best. You just have to look at the women’s game today to see what sort of impact Richard Williams has had on it. Everyone plays in the style he envisaged for his daughters when he started coaching them as children. He is the father of Serena and Venus Williams, the sisters from Compton who battled social and financial hardship to reach the game’s lofty heights. Together, Serena and Venus boast multiple Grand Slam titles, as well as 17 doubles tournament wins, three Olympic gold medals, and the proud achievement of being the first two players, female or male, to play in four consecutive Grand Slam singles finals between the 2002 French Open and the 2003 Australian Open. What’s incredible about Richard Williams’ story is that he wasn’t a tennis player by profession. He took a few lessons before deciding to turn his attentions to developing the talents of Serena and Venus after seeing Virginia Ruzici playing on TV. He has stated he wrote a 78-page blueprint for success based around a big serve and power behind every shot no matter the position on the court. His work with the Williams sisters revolutionised the women’s game. While others have tried to replicate their approach, few have managed to accomplish it as effectively. However, the development of the game towards a strategy that mimics Richard Williams’ game plan is indicative of an influential tennis coach making a tangible difference to the modern game. Coincidentally, on the men’s circuit, it is another member of the family who has influenced a player’s rise to the top. Former world number one Rafa Nadal knows he wouldn’t have achieved his success without his uncle Toni Nadal. In men’s tennis, he has no equivalent, becoming the most successful coach in the history of the male game with 16 Grand Slam titles with Rafa. He has also overseen the “king of clay” reach the number one ranking, become the fifth most successful player of the open era, and only the second male player to achieve a Career Golden Slam (winning all four Grand Slams plus an Olympic gold medal). What perhaps makes Toni Nadal so special as an influential tennis coach is the way he adapted Rafa’s strength on clay to cope with hard and grass courts, leading him to become a multi-surface champion. He is a great example of the modern game in how his style of play is built around agility matched with power. His forehand is one of the most impressive in the game. While certain influential tennis coaches have made a difference to tennis through long-term professional relationships, there are a number of coaches known for moulding the talents of multiple stars. Nick Bollettieri is the one who stands out. That’s not surprising given his career has seen him work with the likes of Andre Agassi, Jim Courier, Monica Seles, and, in more recent years, Maria Sharapova, Daniela Hantuchová, Jelena Janković, the Williams sisters, Martina Hingis, and Anna Kournikova. 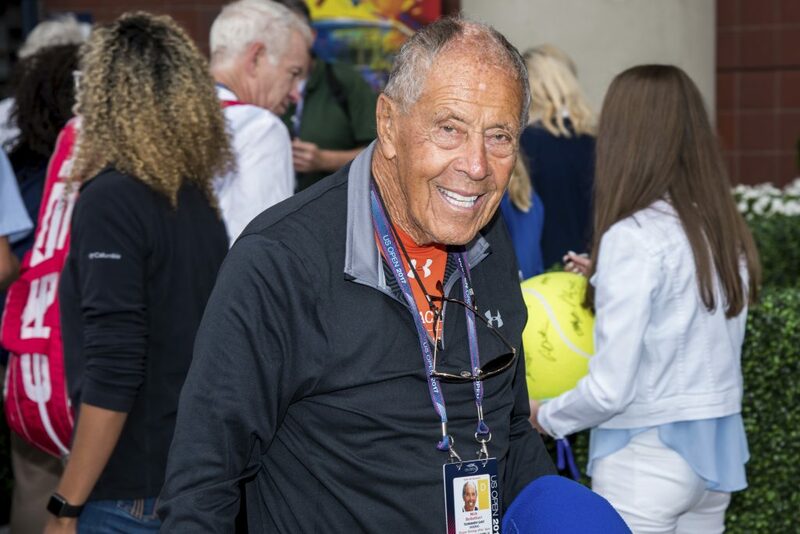 Bollettieri’s impact on the game is less obvious than, say, Richard Williams but there’s no doubting he continues, through the professional institute for tennis players he set up, to influence the modern game. The Nick Bollettieri Tennis Academy has witnessed many players turn pro, ten of which have reached the number one ranking. Many of the game’s top coaches have years to work with the players under their wing. But that isn’t the case for Ivan Lendl, Andy Murray’s intermittent coach. What’s striking is that each time the pair work together the player enjoys success. It does say a lot about Lendl, a former Grand Slam champion himself, and his ability to work with talented players. It’s also indicative of one of the most influential tennis coaches making a real difference, and how success can diminish without that guiding hand. For Murray, one of a group of players emerging in the wake of Rafa Nadal and his powerful back-court style, the difference between winning and losing is often a case of psychology. It was the player’s mental approach that Lendl was able to influence most during his two successful periods coaching the British player. Lendl has also been merited with increasing Murray’s consistency, guiding him to his first two Grand Slam titles at the 2012 US Open and 2013 Wimbledon Championships. Murray and Lendl split in 2014 with the player unsuccessful in his attempts at winning a Grand Slam event until Lendl’s year-long return in 2016, when Murray triumphed again at Wimbledon and became the world number one in the process. Tennis’s development in recent years is the result of some of the greatest players to ever play the game coming of age at the same time. But the influence of coaches is clear; whether that’s pioneering a new style of play, establishing the institutions for future star development, or impacting an established player’s game with the right mentality to get over the winning line.